A disturbing new suicide game on social media called "Momo" has resurfaced and this time it has infiltrated the popular game "Minecraft" as well as numerous YouTube videos. The bizarre game first started on WhatsApp and has been linked to at least one teen's death. The disturbing bird-woman icon that has become associated with "Momo" was added by modders to "Minecraft", an online game that is widely played by children. Modders are people who are able to make changes to video games, that can include adding content such as the "Momo" icon. Parents are warning that ads appearing before YouTube videos are promoting "Momo" and are concerned that it could be the next "Blue Whale" The infamous "Blue Whale" game was a disturbing game that surfaced on social media in Russia that is linked to at least 130 deaths across the country. When "Momo" first opens, a shadowy controller sends violent images to the victim over WhatsApp, a mobile messaging service. The game then tells players they must follow the game's orders or they will be threatened with consequences. The Minecraft version of "Momo" is a mod that adds the frightening avatar of a woman with distorted facial features and bulging eyes that begins chasing the player with a mobile phone showing the WhatsApp icon in its hand. The game has been linked to identity theft, harassment, anxiety, depression, insomnia and even extortion. An ad for "Momo" was seen by a police officer in Ohio while his son was watching Minecraft videos on YouTube. Lt. Dave Carter described the idea of "Momo" appearing more frequently saying, "It's scary. He began talking about 'Momo' and how weird she looked. So, he ended up looking it up and saw that it was that suicide challenge." "That came from something simple, that kids all like doing this Minecraft stuff and watching the videos on how to play it and here it comes up in the search," Carter added. 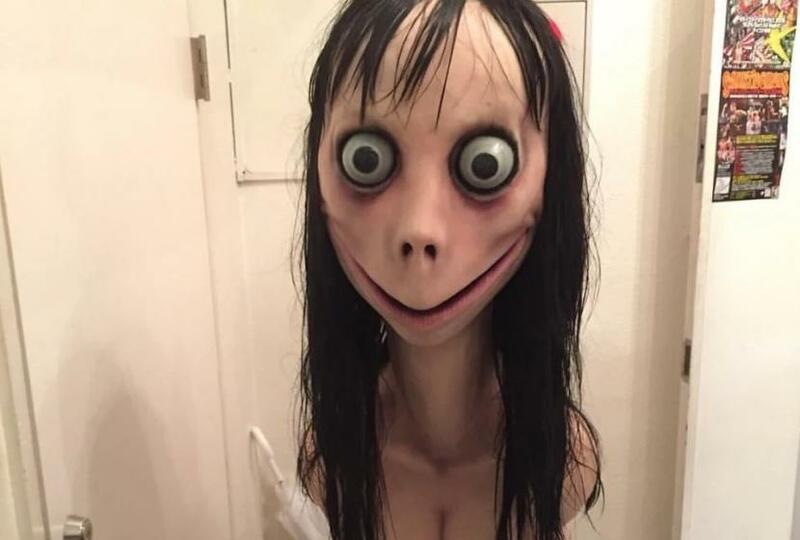 Police in Argentina are investigating the suicide of a 12-year-old in Ingeniero Maschwitz and whether the teen's death was related to the "Momo". Local news reported the girl recorded a video on her phone just before she died. Investigators suspect she was encouraged to take her own life and are investigating an 18-year-old who may have been in contact with the girl.